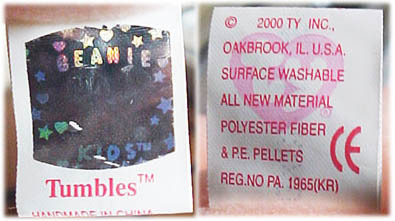 Beanie Kids began in 2000 and at the end of 2002 Ty retired all but one Beanie Kid, Babe-e the TyStore exclusive Kid. It is rumored and appears to be true that Ty will stop making Ty Beanie Kids in 2003. Babe-e is expected to retire shortly. 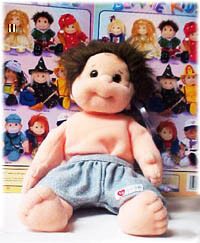 Ty produced 24 different Kids, with the Baby 2002 being the most popular and sought after one! Click here for a list of all Ty Kids and their tag and introduction and retirement dates! Only Ty Direct accounts that attend in person will be given the opportunity to place an order. This cryptic announcement would lead to the introduction of the newest Ty product line Beanie Kids. 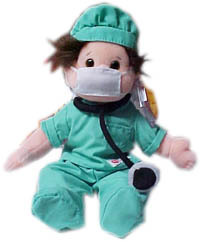 The first set of Ty Beanie Kids were shown off on January 8, 2000 at gift shows in Atlanta, Philadelphia and Dallas. Kids are a bit larger than Beanies and instead of being cute animal creations they are designed to look like little children. They have different hair styles, skin colors and cute little outfits! There was mixed reaction by the public on Ty�s newest creation. The seasoned Beanie Baby collector didn�t seem to care for this new look, however Beanie Kids proved to be pretty popular with young children (as I am sure they were meant for!). The new series began with 9 Kids: Angel, Cutie, Precious, Ginger, Boomer, Curly, Tumbles, Rascal and Chipper. Ty pushed these new little guys by announcing how detailed they were compared to other products of their kind, including their sewn in belly buttons, and hand-painted crystal eyes. 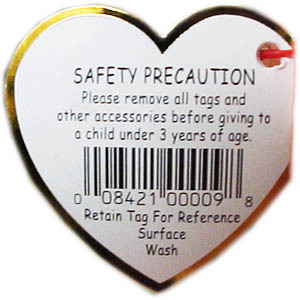 Beanie Kids were being promoted as �Limited,� as though there really would be just a few made, sent to the few retailers who ordered them at the shows. However, as with most other Ty �Limited� products, with a little time there were plenty of Kids to go around! 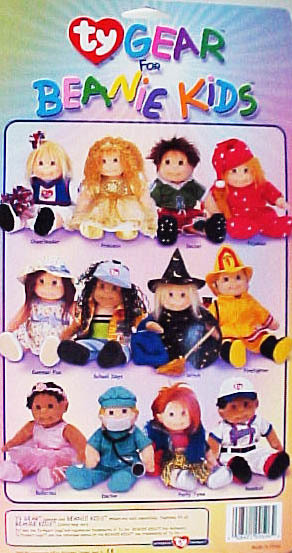 On February 9, 2000 Ty made another announcement on the website giving a few addresses of where you could buy these new Beanie Kids! 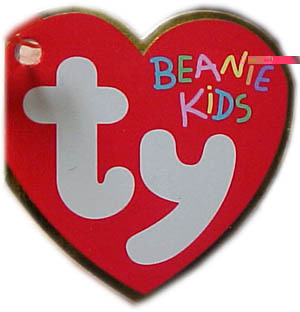 On Friday February 11, 2000, Ty officially introduced the new Beanie Kids line on the website and introduced the first images! On June 24th at the Dallas Gift Show, Ty announced four new Beanie Kids named, Buzz, Calypso, Princess and Cookie. 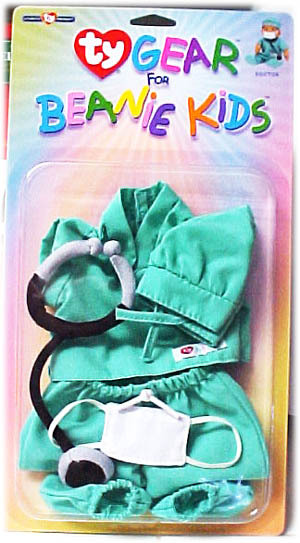 Than two weeks later Ty presented TyGear - Outfits for Beanie Kids that would be available in October 2000. On January 1, 2001, Ty introduced 5 new Beanie Kids named Blondie, Jammer, Luvie, Shenanigan and Specs and 3 more new TyGear Outfits: Bunny, Dressup and Snowboarder. For a checklist of Ty Gear click here! This was the beginning of a whole new line for Ty! Ty even introduced what will probably become the rarest Kid of all, Baby 2002, a Kid Baby dressed for the New Year! Ty retired Baby 2002 before most stores even receiver their first shipments! Who knows what�s coming next! Tumbles has the same birthday as Ty Warner!